(21 cm),  pp., 8 black & white illustrations. Publisher’s printed wrappers. - On the collecting of the Renaissance bookbindings commissioned by Jean Grolier de Servières (1479-1565) from Milanese or Parisian binders. 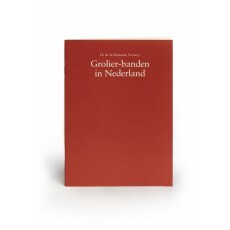 Discusses Dutch collectors (late 17th-early 20th centuries) who had Grolier bindings in their possession, and concludes by describing the seven Grolier bindings in Dutch public collections. 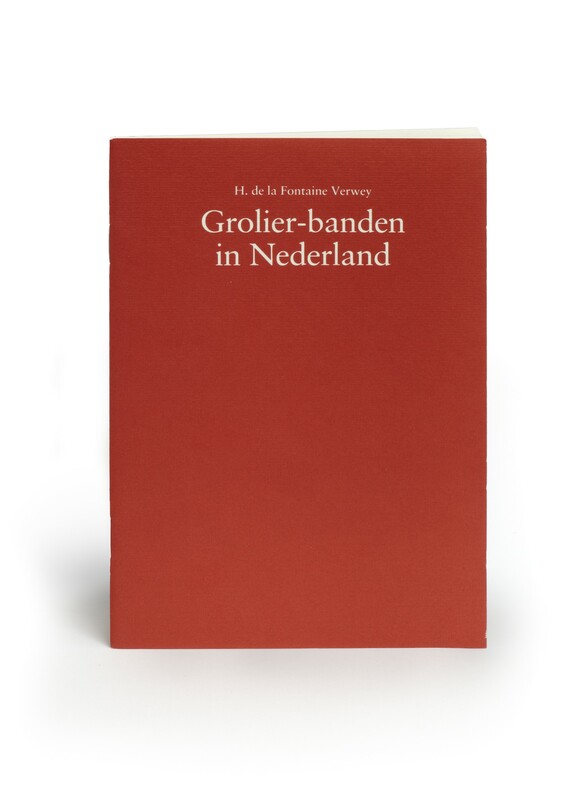 Revision of the author’s “Grolier bindings in the Netherlands” (in Quaerendo, volume 15, 1985, pp.243-272). Edition of 1200 copies, a New Year present 1985/1986 for friends of Bubb Kuyper, antiquarian bookseller, and Jutta Swakowski, bookbinder. ¶ Very good, unmarked copy.